Sometimes the best recipes come out of mistakes. 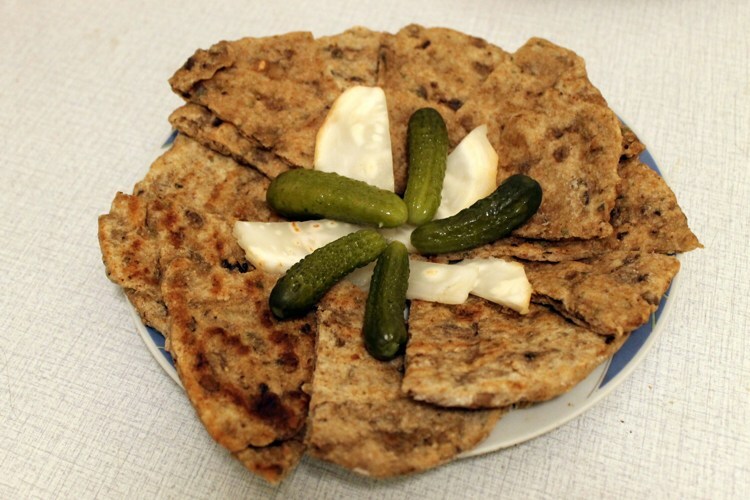 Or, in the case of this flat bread, out of impatience. I love making my own bread because real bread – made with whole grain flour – is loaded with protein, iron, fiber and minerals. 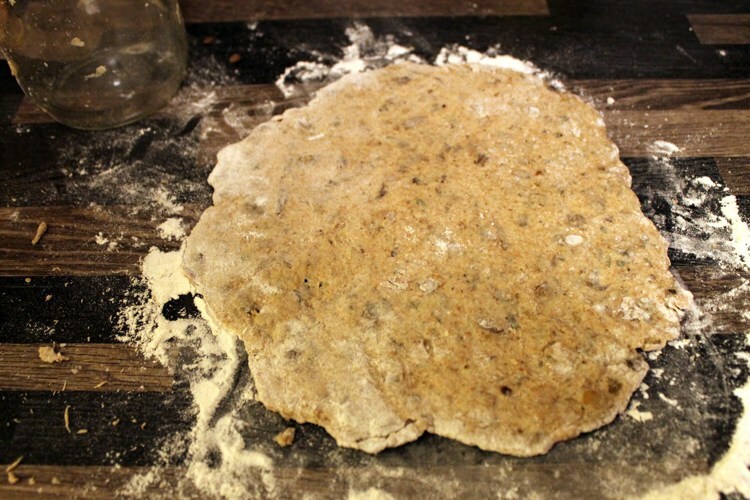 Making my own bread means that I can also “sneak” healthy extras into the dough, like the spinach bread I make as a way of getting my 4-year old to eat more greens without realizing it. One of my favorite things to put in bread is dried mushrooms. 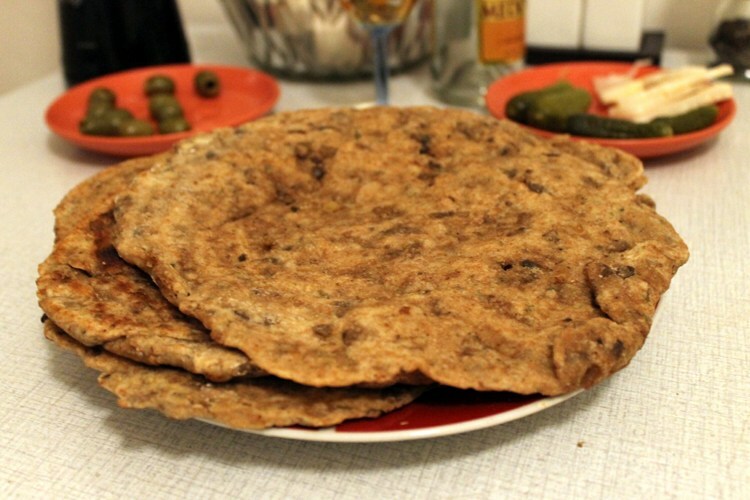 The earthy taste goes amazing with hearty whole-grain flours! 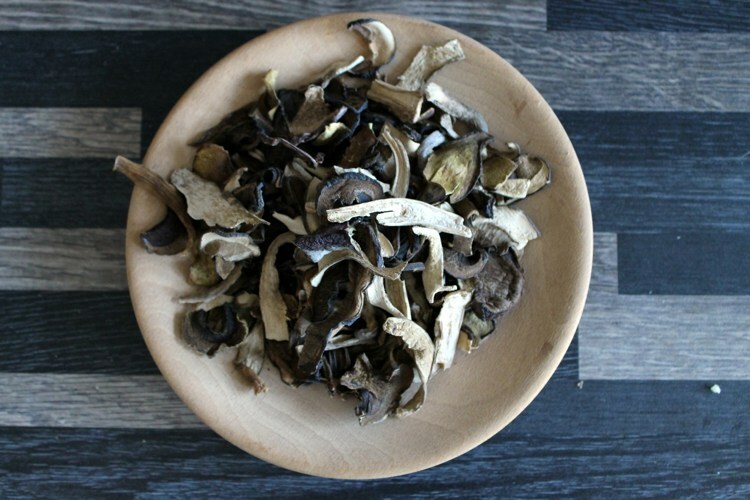 So, when my boyfriend brought me back these dried wild mushrooms from Slovakia, I chopped them up and put them into some bread dough. I also added some lentils for an extra dose of protein. I quickly rolled out the dough into flat rounds and cooked it in a pan with a bit of oil, flipping it when the bottom got brown. Success! 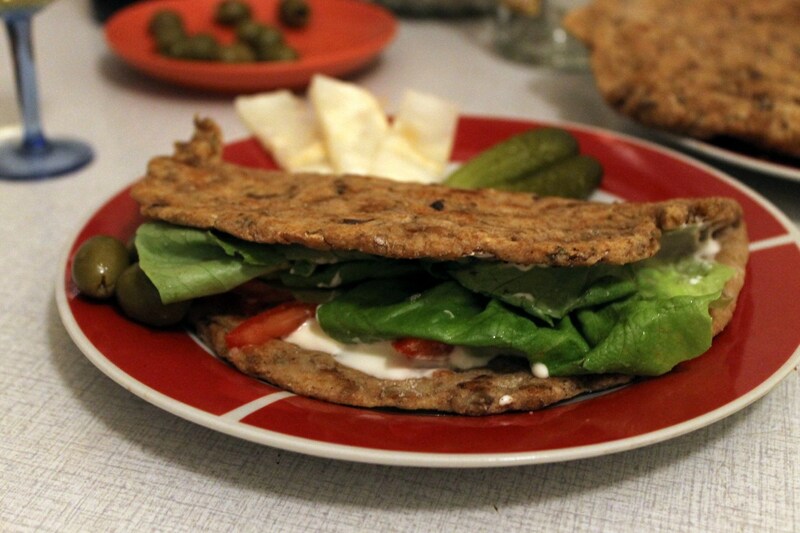 Not only did the flat bread taste great, but it was a lot more fun to eat than standard bread. Feel free to adjust this recipe to your own tastes. Try experimenting with sun-dried tomatoes, red peppers, tofu, and various herbs and spices in your bread dough. My only advice is to mash or chop up any wet ingredients first (like lentils or fresh spinach). Otherwise, you end up with moist pockets in the bread, which can cause your bread to go bad if you leave it out. If you put lots of wet ingredients in the bread, you might want to store it in the fridge – or just eat it within a day. One of the perks of living in Serbia is that I have access to real, fresh yeast, which is more reliable than those packets of dry yeast. If you can’t find fresh yeast where you live, then just make sure to buy quality dry yeast. Put it in a cup with warm water and a bit of sugar first to let it grow. Put your yeast in some of the water from the recipe with about a teaspoonful of sugar. The yeast feeds off of the sugar. 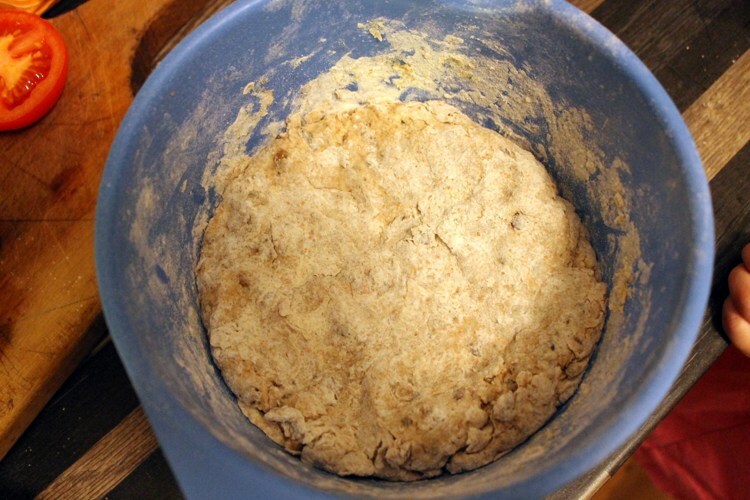 This gets the yeast going so your bread rises faster. The water should be luke-warm, not hot or you may kill the yeast! Let the yeast grow for about 15 minutes. 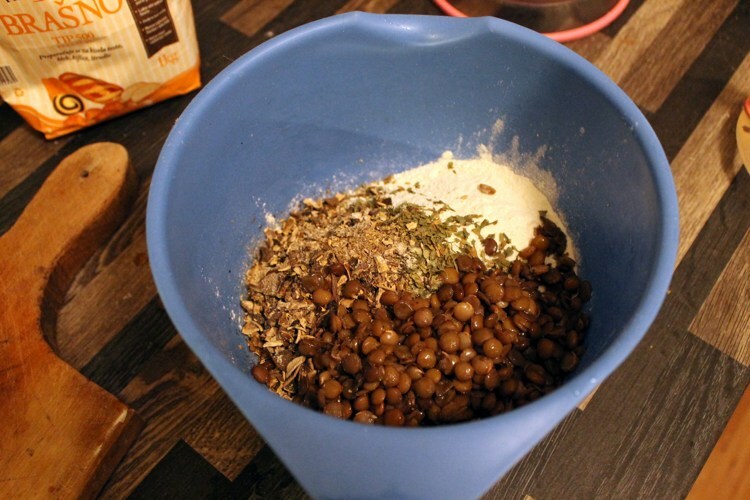 Mix 2 cups of the flour (you need to reserve some flour for kneading) with the mushrooms, salt, parsley and lentils. 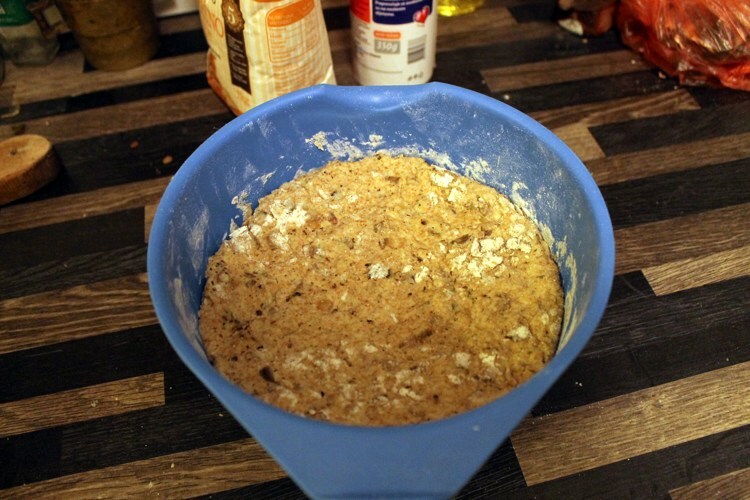 Add the yeast and water. Mix with a fork. When the dough stops being sticky, switch to kneading it with your hands. Cover dough with a clean kitchen towel and put it somewhere warm to raise. Once it raises, knead one more time and let it raise again. 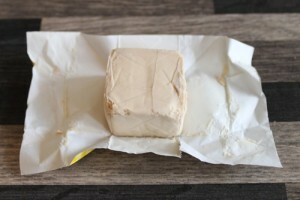 Tear off a small handful of dough and roll it to about 1/2 inch thickness. Heat a bit of oil in a pan. When it is hot, put a dough round in the pan. 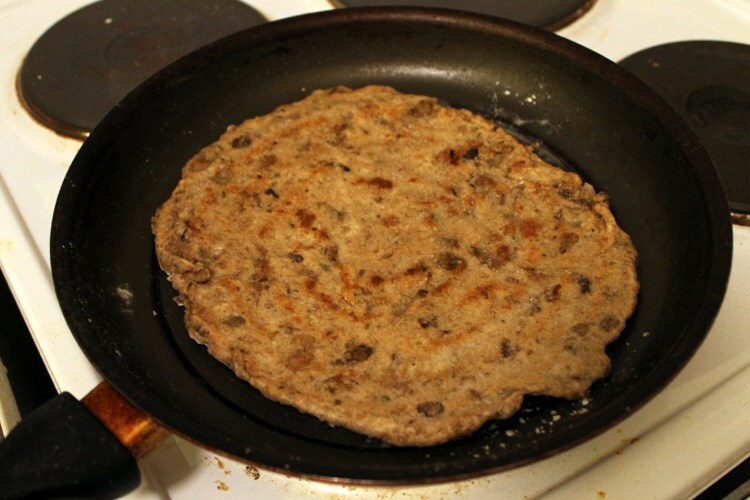 Flip the dough when the bottom turns a nice brown color and let the other side cook. The dough won’t be pretty. Don’t worry! No rolling pin? No problem! 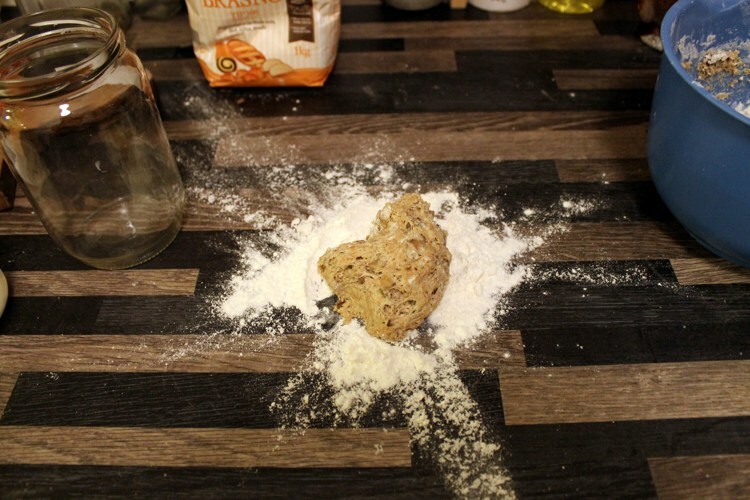 I used a glass jar to roll out the dough.